There is nothing quite like purchasing a new home or moving into a new office! The excitement begins when you sign your name on the dotted line and receive a possession date, but then the reality quickly sinks in when you realize that you are now faced with the daunting task of packing all of your belongings and moving. Although moving in Calgary isn't rocket science, it is enough of a challenge to test your patience, relationships and at times your own sanity. So when living a city lifestyle, hiring professional movers is always a good option to get your possessions and heavy furniture professionally packed up and moved without any hassle. Living in your new home or getting new commercial space is exciting, but its the stressful task of packing up and moving that leaves many people weary. A good way to start when you have no idea where to begin is to create a moving check list. You may not want to lift your heavy furniture right away so picking up a pencil and notepad is always a solid place to start. Walk around your home and begin jotting down an inventory of essential items that are in each room that cannot be forgotten, misplaced or broken. Precision Mover's has been serving Calgary and the rest of Western Canada for over 30 years providing their professional & expert packing techniques along with on-time pick up and delivery schedules that help make any move stay organized. Imagine having to open up multiple boxes scattered all around your new home or office space trying to find the dishes or important documents. Labelling all unmarked boxes is a tedious task to complete, but you will thank yourself later for staying organized. Professional moving services use this tip to make the relocation process quick and efficient. By labelling your unmarked boxes with what items are inside the box as well as the room you would like it to be left in, you can create less of an unpacking nightmare. Precision Movers offers services such as their professional & expert packing techniques along with free moving quotes to help you stay on budget and keep your commercial or residential relocation efficient. Whether you're staying within the local Calgary area or moving out west to get a better view of the ocean, keep your prized possessions with you. Personally pack and take your jewelry, important documents, and any other valuables you have during a commercial or residential move. Keeping these items with you increases your chances of storing them safely and allows you to have peace of mind knowing these items are not going to be lost during the move. Tip 5: Pack the essentials for moving day! Even when you try and plan everything, unforeseen problems can still arise and something can to go wrong during your move. Bring what you need! Pack extra clothing and toiletries in luggage bags to minimize the inconvenience if items don't make it on time or get misplaced during the relocation process. Keep in mind that you are not alone in your move, the next step is to consider hiring professional moving services and ask yourself: is it worth it to hire a professional mover? 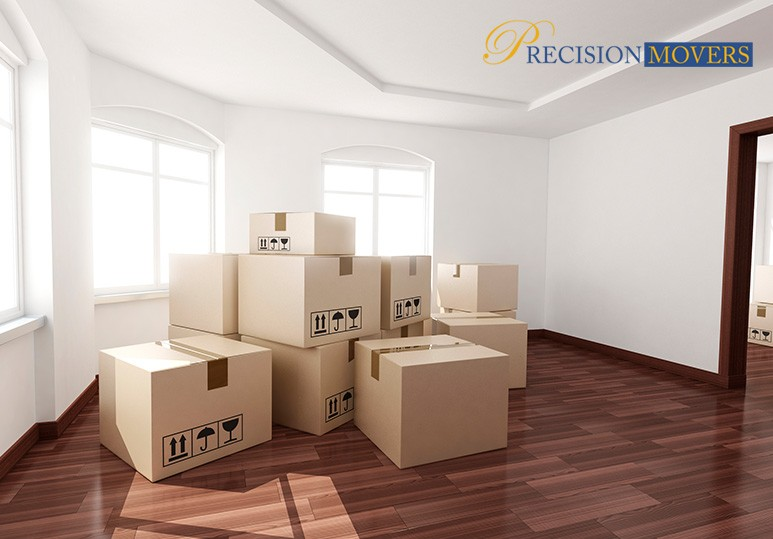 To learn more about how Precision Movers can help ensure a stress-free and cost-effective relocation, contact our Calgary office at 403.540.4393.